Definitions and examples of Cervix Ultrasounds are presented in two views. An ultrasound of the cervix uses high frequency sound waves to create a live image from inside of a patient’s body. It is a painless test that is very commonly used in the medical field today. An ultrasound is also sometimes referred to as a sonogram, diagnostic sonography, or ultrasonography. The medical professional that performs an ultrasound is called a sonographer. A pelvic or gynecologic ultrasound is an ultrasound of the female pelvis, which is used to examine the female pelvic organs including the cervix. The cervix can be viewed through a transabdominal ultrasound or a transvaginal ultrasound. 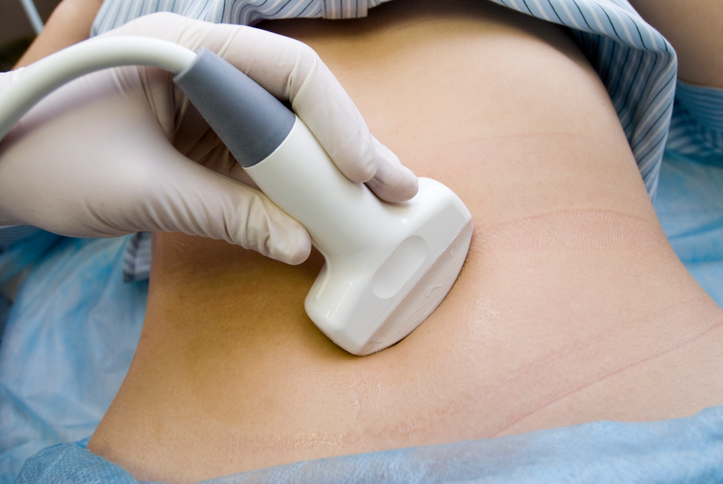 A cervix ultrasound can be used to guide doctors or surgeons during a procedure, such as a biopsy. They are important in planning for certain types of therapy and surgery, as well as in the aftermath to determine whether the patient’s body is responding to treatment. An ultrasound of the cervix can detect cervical fibroids or polyps. A cervix ultrasound may diagnose advanced cervical cancer. An ultrasound of the cervix can be used to determine the cause for pelvic pain, painful or irregular periods, infertility, or postmenopausal bleeding. Cervix ultrasounds are painless and done fore a varitey of reasons. 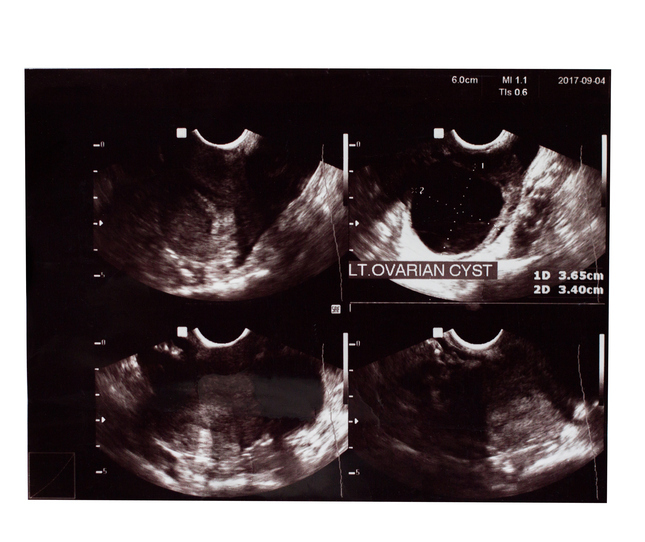 Above: Identifying a cyst in the ovary here in this ultrasound.